She asked me if I knew what happened to her mother, Nana. She wants to sell everything and never return to Mexico, not without her mother and father being there. She goes on about having to take care of things, nothing specific, just things. She calls me Janie, my sister, and, after a few general questions (“Have you eaten? Have you rested?”), asks again when her Nana died. “Several years ago,” I said. She is shocked, again saying that she can’t remember them dying. Suddenly, she remembers the small crypt she had built in the Espinoza family plot, at the cemetery near her hometown, Burgos, Tamaulipas. I tell her that Steve and I are coming for a visit, which makes her very happy. To see if she can recall other events, I ask if she remembers when she and Papa took me to the university in San Marcos, for the fall semester of 1987. She remembers leaving me behind, but that is all. I remember them driving away; she had tears running down her face, as did I. She keeps referring to me as Janie. “I only wish he would come and find me,” she says plaintively, speaking of my father (who had passed away in 2009), of which I am fairly sure. 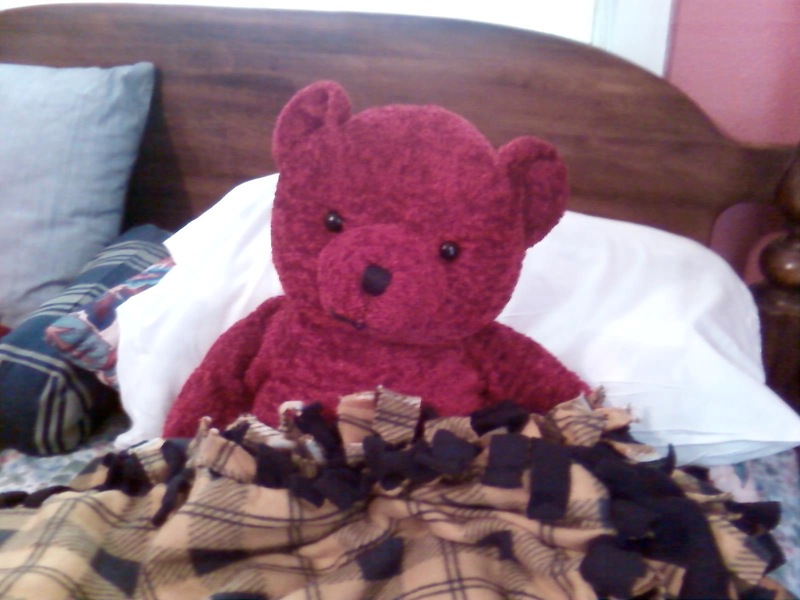 I can imagine her staring at his side of the bed, where his stuffed red teddy bear sits propped on his fluffy pillow. “He is always with you, walking beside you, protecting you in your dreams,” I said. “When others leave… you have to keep moving forward,” she says quietly. Very touching and at the end, some words of wisdom. Thank you, my Mama retained wisdom until the very end.